From humble beginnings in November, 2000, ITSG today serves the HA/DR and system management needs of customers across 38 states as well as Canada and the Caribbean. In November, 2000, after 12 years with IBM, and then a stint with a large Premier IBM business partner, Matt Staddler started IT Solutions Group (ITSG) with a vision for an IBM i (then iSeries) consulting company to help customers execute data migrations, OS upgrades, and PTF level management. In 2002 that vision expanded to include data resiliency consulting when it became one of the first North American distributors for Maxava, a New Zealand-based provider of innovative high availability and disaster recovery software solutions. Through this partnership, an expanded expertise in all things DR and HA, and it’s core system management practice, ITSG gained many new SMB and enterprise customers across North America, Canada and the Caribbean. In 2005, IT veteran Pete Mayhew brought his 20 years of system management and HA experience to the ITSG team, and soon after was tasked to take an in-depth look at IBM’s recently introduced PowerHA hardware replication offering. After the evaluation, both he and Matt saw significant advantages in the hardware replication technology for certain types of customers and ITSG was accepted by IBM to distribute and install PowerHA. With this, the company would have a unique opportunity to offer consulting on both types of HA replication technologies: logical replication from Maxava as well as the new hardware replication technologies introduced by IBM via PowerHA. 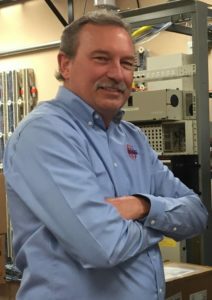 Today, Pete’s expertise in PowerHA is recognized by IBM Rochester, which recently invited him to become a contributing author to an upcoming IBM PowerHA Redbook. Most IBM Business Partners that offer IBM i high availability solutions and services only carry one type of HA technology so it is only natural these partners are biased toward the technology they offer. However, by providing and supporting both types of HA technologies, ITSG brings a real advantage to its customers by helping them objectively sift through the pros and cons of each type of replication technology and ultimately find and implement the best solution for their particular IBM i infrastructure. In 2009, ITSG began offering colocation services; first through a SAS 70/Tier 3 data center in Chicago, IL, then in 2012 it added a SAS 70/Tier 4 data center in Orlando, FL. These state-of-the-art data centers provide ITSG clients with a fully protected secondary location for DR testing, HA failover, library replication, DR operations and OS testing. What a ride it’s been! 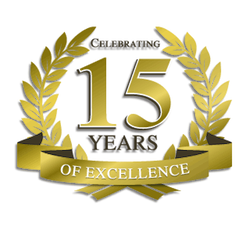 We are truly grateful to our customers and look forward to the next 15 years!